Peanuts are one of the eight most common foods known to trigger an allergic response. With this type of allergy, your body misidentifies the protein in peanuts as harmful, triggering an abnormal immune response. While it's possible for the immune system to recognize other food substances as allergens, a peanut allergy doesn't often translate into an allergy to spices. However, always talk to a doctor to determine what foods to exclude from your diet. The Food and Drug Administration requires all food manufactures to list the most common food allergens on their labels, so they must note any spice containing peanuts. The same is true for foods containing milk, eggs, fish, shellfish, tree nuts, soy and wheat. 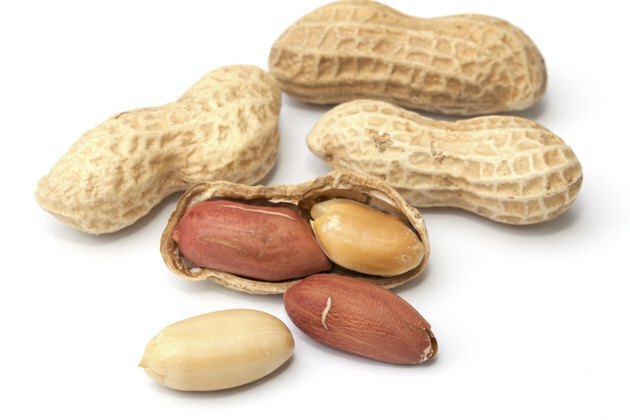 Even if used in very small amounts, the law requires manufactures to include peanuts – and the other seven top allergens – on the packaging. Food labeling laws don't regulate the potential cross-contamination of foods or spices. Manufacturers don't need to state that they produce a spice in a facility that also processes nuts. However, most voluntarily warn consumers of this on their labels. You may also see warnings such as "may contain nuts" or "produced on shared equipment with nuts or peanuts." If you're unsure whether a spice is cross-contaminated, act on the side of caution or contact the manufacturer for information on the product. While spices aren't usually problematic for people with a peanut allergy, other products used to season food may contain nuts. According to the Food Allergy and Anaphylaxis Network, many glazes, sauces and marinades can contain nuts, such as chili sauce, hot sauce, pesto, mole and gravy. Even some salad dressings include nuts, so read all food labels before using any one of these products in the preparation of meals. A peanut allergy can result in an allergy to other forms of legumes, including green beans, green peas, kidney beans, lupins and soya. Some people with a peanut allergy are sensitive to other culinary nuts as well, such as almonds, cashews, hazelnuts and walnuts. Although a peanut allergy doesn't lead to an allergic response to spices, you or your child can also be allergic to these ingredients. Spice allergies are rare, but do exist. The most common culprits include caraway, coriander, fennel, mustard, paprika and saffron. This type of allergy happens more often in people with a pre-existing allergy to birch or mugwort. What Causes Allergies to Cilantro?